The Icelandic sagas were set down mostly in the 13th century. They frequently refer to events many centuries in the past. While they seem to be straightforward historical accounts, and often involve actual people identified in other sources, it is clear that the accounts have often been fictionalized in order to improve the storytelling. Yet, oddly to the modern eye, they tend to be very weak in explaining the motivations of their characters. So let me offer you my interpretation of the motivations of the characters in my favorite Viking saga story. The story comes from the Orkneyinga saga, sometimes called the History of the Earls of Orkney. 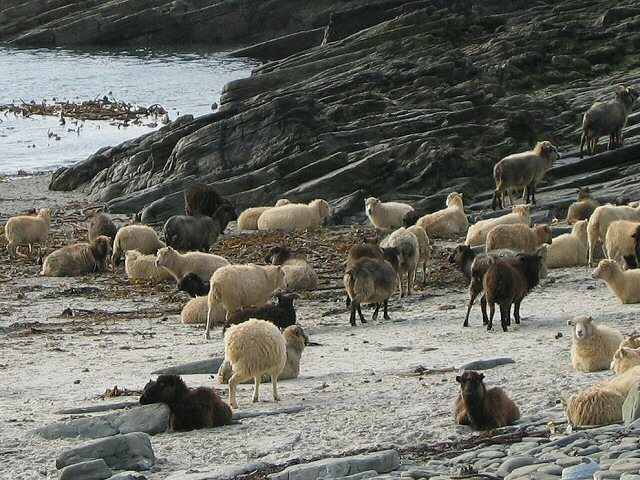 The Orkneys are an island archipelago north of Scotland that was settled by Viking during the 9th century (or earlier). Although they owed obedience to the Kings of Norway, in practice the Earls were often autonomous rulers, whose realm could extend as far north as the Shetland Islands, as far south as the Isle of Man in the Irish Sea, and onto Caithness and Sutherland on the Scottish mainland. This story begins with two legendary figures, Erik Bloodaxe and Thorfinn Skullsplitter. Erik was the favorite son of King Harold Finehair of Norway, and became king after his father’s retirement in the early 930s. According to legend, he was so fierce a ruler that his subjects deposed him in favor of a brother and drove him out of the realm after only a few years. Fleeing abroad, Erik began a career of raiding that would make his name infamous. No, Thorfinn didn’t really look like this. Still Erik was not satisfied, and a few years later took over the Viking kingdom of Jorvik in the north of England. There he proved to be such a nuisance that the English mobilized against him, defeated him in 954, and slew him as he tried to flee. Arnkel and Erlend were with him, and they died, too. Erik’s widow, the formidable Queen Gunnhild, returned to Orkney with her two sons. Like Erik, they found the island earldom too limited for their ambitions. They cast about for some way to regain power in Norway. 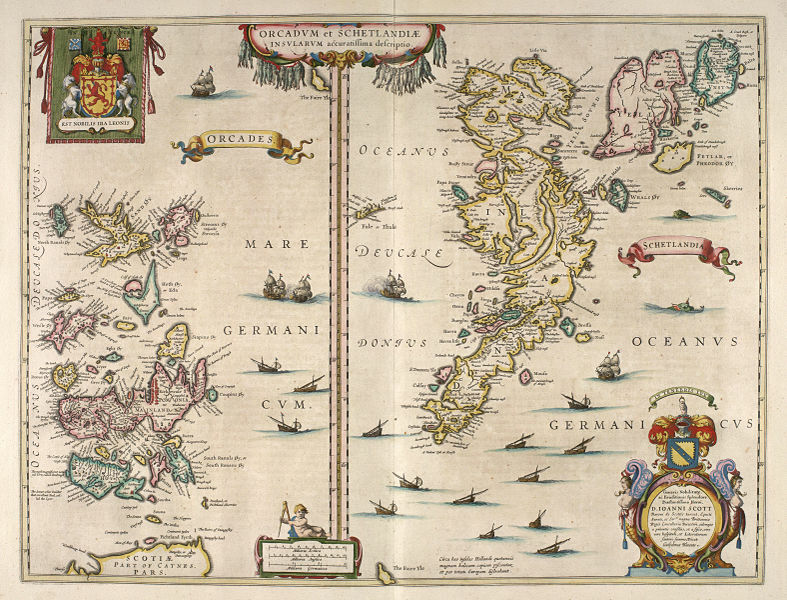 The King of Denmark offered them help in 955 and they departed from Orkney, leaving behind the remaining son of Torf-Einar, Thorfinn Skullsplitter, as the sole ruler of Orkney. But to solidify the bonds between the two families, Gunnhild married off her daughter Ragnhild to Thorfinn’s son Arnfinn. This union was to have dire consequences. 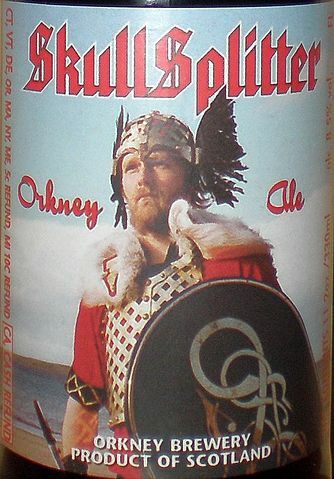 Thorfinn Skullsplitter now ruled alone as Earl of Orkney for many years. They were good years, good for the realm and good for Thorfinn, whose wife had borne him five sons and two daughters. And then Thorfinn died peacefully in his bed. As expected, his eldest son Arnfinn succeeded him as earl, with Ragnhild at his side. The future looked bright for the sons of Thorfinn. Ah, but there was a serpent in this paradise, and her name was Ragnhild. She was too much her parents’ daughter, strong and lusty. Perhaps she wanted real political power, more than Arnfinn would give her. Perhaps she was hard to please in bed, and that was more than Arnfinn could give her. So she decided Arnfinn had to die. Perhaps she suggested to Arnfinn’s brother Havard that he could have the throne if he murdered his brother. Perhaps she seduced Havard, too. Whatever the case, Arnfinn was killed. Havard took the throne and took his brother’s widow to wife, too. No doubt people suspected he had killed his brother, but they weren’t sure. In the good years of harvest that followed, people chose to forget just how Havard came to power. 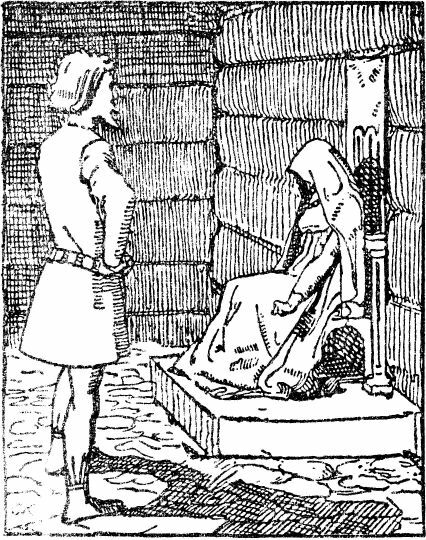 Ragnhild’s technique played on Einar’s vanity. She praised him as a good man who would make an excellent ruler. She made it clear that a woman would consider herself lucky to marry Einar. In case he was a little slow on the uptake, she added that she didn’t expect her marriage to Havard to last much longer. Einar got the point. Lust for power and for the body of his aunt made him Ragnhild’s patsy. He quickly gathered some of his followers and ambushed Earl Havard, killing him in the skirmish. Einar had been too obvious. There was an outcry, as many people felt Einar had acted shamefully in killing his uncle. They were not willing to let Einar be the next earl. So far, none of the descendants of Thorfinn Skullsplitter had shown much in the way of brains. But Einar Hard-Mouth wasn’t completely stupid. He had some idea that Ragnhild’s talk of family honor might be a cloak for some scheme of hers. And yet he still fell for it! Thinking he was being tough and realistic, he made it clear that he expected both the earldom and Ragnhild’s hand guaranteed as his rewards. No doubt Ragnhild must have laughed up her sleeve at this. Here Einar thought he was driving a hard bargain when he was just asking for the same thing she had promised Einar “Buttered-Bread” only a short time before! Naturally she agreed. And naturally she had no more intention of keeping to her side of the bargain this time, either. But Einar Hard-Mouth had fallen for her. He summoned his men and tracked down Einar “Buttered-Bread,” killing him just as he had killed Havard. Ragnhild was pleased. But she wasn’t going to let some boy Einar’s age push her around. Instead, she went to the fourth son of Thorfinn’s, Ljot, pointed out that he had a better claim to the Earldom of Orkney than Einar did, argued that he should take the throne, and the best way to cement his claim was to marry Ragnhild! You’d think by this time, someone would have figured out what sort of schemer Ragnhild was. And maybe Ljot did. But whether he did or not, Ljot was a chip off the old Skullsplitter, a man not to be trifled with, not by Ragnhild nor anyone else. Oh, he listened to Ragnhild. He became Earl of Orkney and married Ragnhild. When Einar Hard-Mouth tried to take the earldom and Ragnhild away from him, Ljot had Einar killed. When the King of Scotland tried to take over the Earldom’s possessions on the Scottish mainland by using Ljot’s brother Skuli as their pawn, Ljot made war on the Scots and killed Skuli. Maybe Ljot was just the sort of man Ragnhild needed. Maybe he was tough enough and virile enough to keep her satisfied. Or maybe she was finally getting too old and tired. She’d been a wife to three men and probably a mistress to at least two more over more than thirty years, and was now in her fifties. In any case, she didn’t engage in any plots to kill Ljot (that we know of). Instead, Ljot would die as the result of his wounds in one of his campaigns on the Scottish mainland. It had been only about a decade since Thorfinn Skullsplitter had died, but thanks to Ragnhild’s machinations, only one of his sons, Hlodvir, remained alive. With Ljot’s death, Hlodvir became the next Earl of Orkney. With Hlodvir’s ascent, we hear no more of Ragnhild. Maybe Ragnhild was dead by that time. Maybe she looked at her chances, saw that Hlodvir already had a wife, and not just a wife but a son, Sigurd, who was almost an adult, and decided she should finally retire into widowhood. But judging from her career, I wouldn’t be surprised if she went to her grave thinking that if she had just been a few years younger, she could have made a play for Sigurd. If she had, she would have altered history. 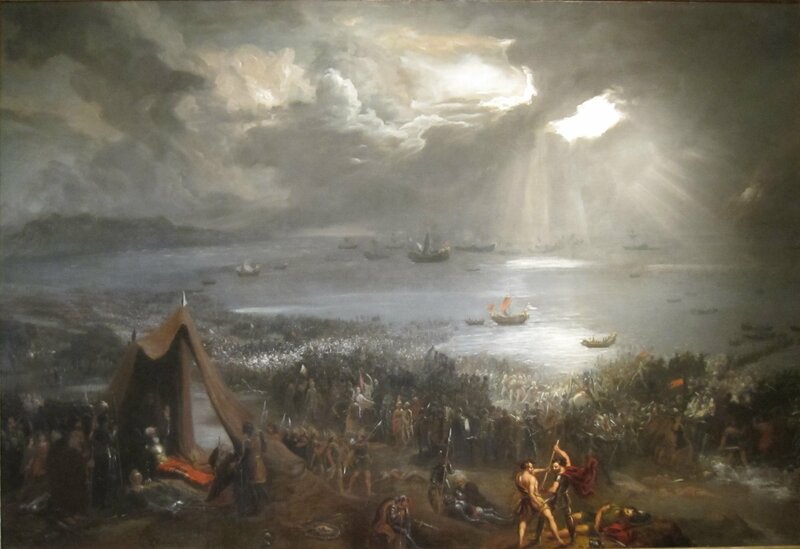 Sigurd “the Stout” became one of the most powerful Earls of Orkney ever, and would die in the famous Battle of Clontarf in 1014, fighting with Sitric Silkenbeard, Viking King of Dublin, against the Irish High King Brian Bóru. This entry was posted in Vikings and tagged Earl of Orkney, Erik Bloodaxe, history, Orkney Islands, Ragnhild, saga, Thorfinn Skullsplitter, Vikings on October 31, 2016 by Brian Bixby. Beautifully told. But you might like to factor in the Norse/Viking/Dane tradition of the ‘new’ king marrying the ‘old’ king’s widow. Witness King Cnut (of England etc) who married Emma of Normandy, widow of Ethelred the Unraed. So perhaps the many marriages of Ragnhild were more by way of tradition than lust or machination. Which is not to deny she was one power-hungry lady . . . as was Emma as Emma proved. Certainly the old queen would carry symbolic weight, as you say. I think what persuaded me to the more sexual view of Ragnhild’s progression is her one dialogue with Einer Buttered-Bread, in which she certainly sounds as if she’s trying to seduce him. Given how little the saga indulges in character motivations, it’s a striking passage. Of course, it’s possible one of the editors had a manipulative wife . . . I thought I’d fixed that! Well, I will now. Thank you, error corrected.